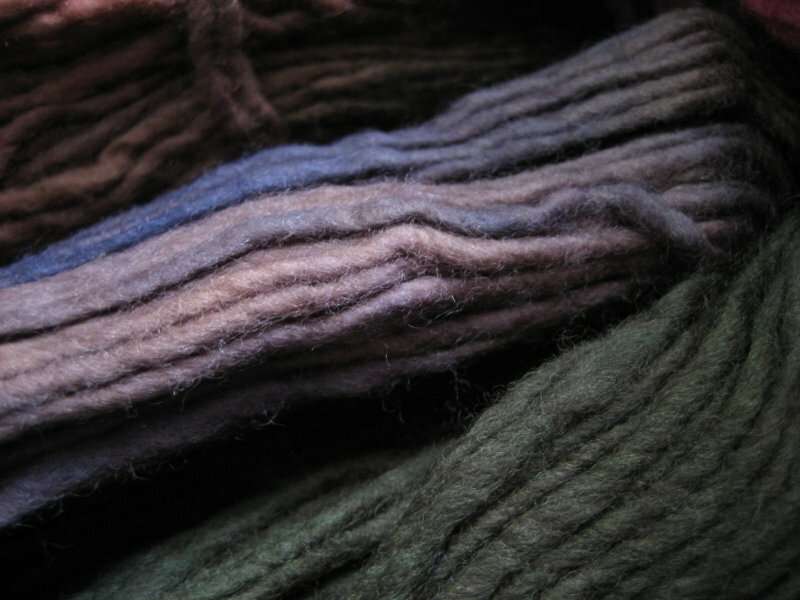 The Knitting Pirate » In Which the Pirate's Yarn Arrives From Distant Lands. « In Which the Pirate Goes to "Sheep and Wool." In Which the Pirate's Yarn Arrives From Distant Lands. My order from 100purewool.com has finally arrived, and the yarn is just as beautiful as I had hoped! The one on the bottom of my picture is the "Aquisgran" colorway (now retired). It is quite a bit more yellow and a lot less other-colored than I had expected. I'm surprised, but okay with this, because it's still a good neutral color for babies. I'm just not that fond of baby-chick yellow, and was hoping for something more colorful. It's all good. The one on the top of my picture is called "Winter Joy," and the picture on the website showed it in blue and tan. The one I got included quite a bit of green and brown, and very little of the lighter tan. Again, this is okay, just surprising. 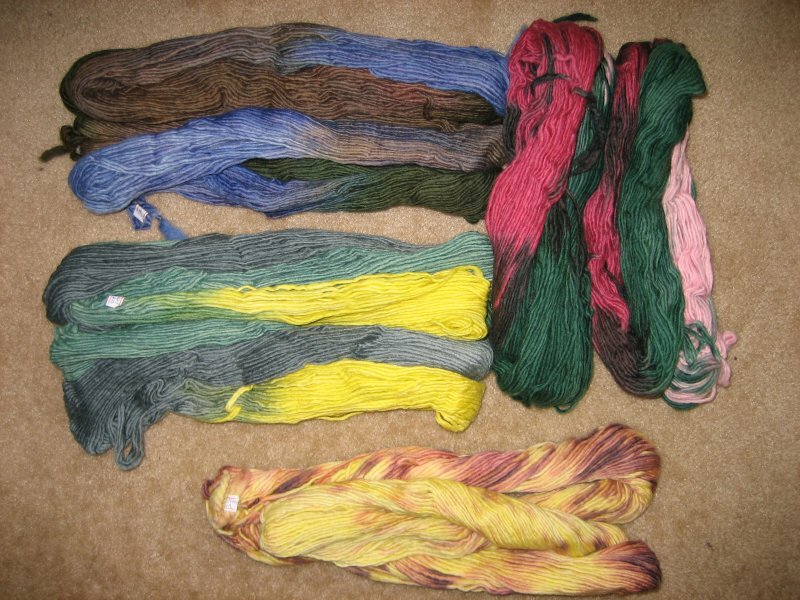 These two pictures on the right show you what the yarn looked like on the 100purewool website. Just a little different, no? The other two colors, "Verde & Amarillo" and "Trieste," look exactly like what I was expecting. The yarn is so soft, and the colors are gorgeous - even if they're not exactly what I was expecting. I compared the feel to the Manos that I have here, and this new stuff is definitely softer, more like what I remember Malabrigo feeling like, though I don't have any here to compare. It seems more even than Manos, and I'm really looking forward to working with it! The basket is now officially overflowing! Last night I was eyeing the WEBS site and wondering what to pick up when I'm there, if anything. I do want to get some Cascade 220 for a felted purse design I'm working out, and something for another project that needs to remain a surprise (but I promise I'll show pictures after it's gifted). We shall see! This entry was posted on Monday, May 7th, 2007 at 15:56 and is filed under stash. You can follow any responses to this entry through the RSS 2.0 feed. Both comments and pings are currently closed.